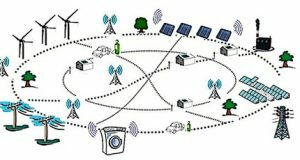 PLANED is a partner in this project, led by Cadwyn Clwyd, exploring the feasibility of Smart Energy grids for community/agriculture based renewables and projects that address fuel poverty in rural Wales. Those with expertise and experience in assisting community scale energy generation – e.g. the Green Valleys Trust , Community Energy Wales and Severn Wye Energy Agency. The steering group will be the source of on-going communication regarding the project’s deliverables and will be responsible for acting as a conduit for engagement within their own sectors and geographic areas.